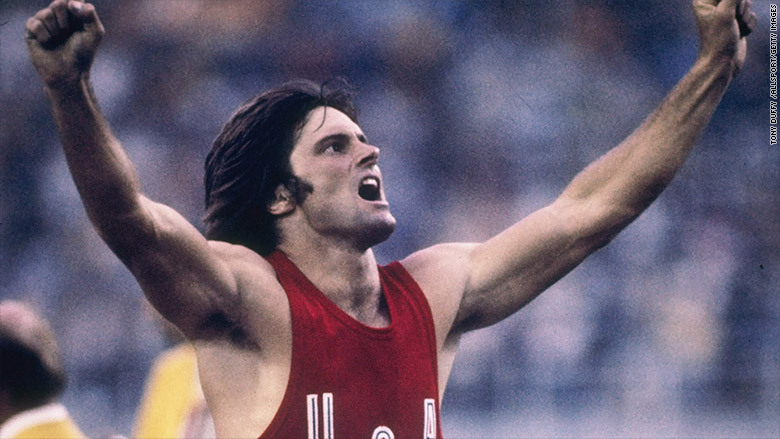 Caitlyn Jenner when she went by Bruce and won Olympic gold in the decathalon. ESPN released a statement on Wednesday debunking a viral rumor that Caitlyn Jenner was given a prestigious ESPYs award over a veteran who lost and arm and a leg in combat. ESPN said the sports network was "proud" to honor Jenner with the Arthur Ashe Courage Award at the ESPYs ceremony next month. The statement came one day after a photo circulated on the internet that said that Jenner had won the Arthur Ashe Award over disabled Army veteran Noah Galloway. There was only one problem with the photo: it was blatantly incorrect. ESPN confirmed to CNNMoney that there is no such thing as "runner up" for the Arthur Ashe Award. The network's statement on Wednesday went into further detail on how the network chooses its recipients by saying the award is meant to honor people "whose contributions transcend sports through courageous action." On Monday the network announced that Jenner would receive the prestigious award. The photo of Galloway appeared on Tuesday with the caption, "Caitlyn Jenner won the Arthur Ashe Courage Award. The runner up was this guy." The photo quickly went viral and was used by many on social media to express anger that Jenner was receiving the award over Galloway. However, those in the sports world were quick to point out that the photo was erroneous. "Galloway has such an inspiring story; he should win many awards. But this is a total fake. There is no "runner up,'" CNN sports anchor Rachel Nichols tweeted in response to the meme. The ESPYs will be held in Los Angeles on July 15.